Much like the Andalusian region where they have made their home for the last century, the Muela family of Priego de Córdoba has evolved with the changing times. While historical records reflect that millers from the region have been winning awards for their oils as far back as 1912, their village may be better known historically for its 18th century baroque architecture than its oil production. This detailed styling can be seen in Priego de Córdoba’s many churches, tabernacles, and altarpieces, and especially during Easter week, when practitioners carry intricately carved thrones up Calvario Hill. Of course the Moors ruled Andalusia centuries earlier, and the beautiful Barrio de la Villa in the Muslim quarter reflects this history, with its labyrinth of narrow, winding streets full of aromatic flowers. Yet the legacy of olive oil endures at the root of the region's past; recent archaeological excavations here unearthed mill stones used for pressing olives dating back to the 2nd Century AD. 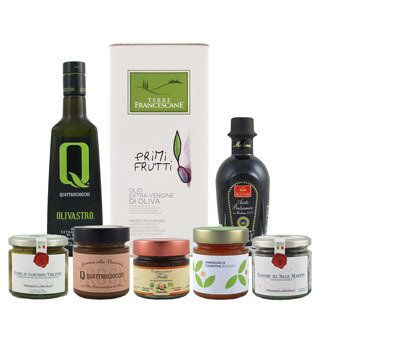 With the growing understanding of their region's history with olive oil production, local producers established a Denomination of Origin to protect their work and honor those that came before them. Created in 1995 and officially registered by the EU in 1999, the DOP Priego de Córdoba registry not only guarantees the origin of the product, but also establishes the degree of control carried out throughout the process. The specific DOP area is situated in the south-east of the Province of Córdoba in the heart of the Sierras Subbéticas and official DOP documents claim, "it is not a day or a fad, it is an attitude rooted in oil mills for a long time. The enclave of our olive groves in the middle of the Natural Park, our traditional and centenary olive groves, and the good work of our farmers and millers, these have made us today the most awarded Denomination of Origin in the world." It is not a day or a fad, it is an attitude rooted in oil mills for a long time... (making us) today the most awarded Denomination of Origin in the world. Around the time of the DOP's establishment, the Muela family business began to evolve into its modern iteration. Perhaps inspired by their village of Priego de Córdoba, one of the most beautiful villages in Andalusia where monument-like buildings often have the look and feel of a traditional Andalusian farmhouse, the third generation of the Muela family added a focus on beauty and design. These efforts led to their now-signature DOP Priego de Córdoba product, the exquisite extra virgin olive oil, Venta del Barón. As the story goes, the name is attributed to the Baron of Santaella who had his title stripped as a penalty for killing his wife. Without a title to their name, his heirs turned to olive farming in the Sierra de Priego. Across many generations their great dedication to the craft of olive oil production ultimately resulted in an oil of such great quality that the king restored the title of "Baron" to the family. True to its namesake, Venta del Barón continues to be recognized for excellence year after year. Including being named the best virgin olive oil in Spain four times in the category of "fruity, bitter, green oils" by Spain’s Ministry of Agriculture, and three times awarded in the category of "intense, fruity oils" from the International Olive Council, Venta del Barón has to date won more than 100 prizes in 16 different countries. While the Muelas continually push to innovate and improve their products, Venta del Barón remains positioned among the best Extra Virgin Olive Oils in the World. The fertile lands surrounding Priego de Córdoba produces Picudo olive trees that carry the identity of the land. The oil has flavor of medium-ripe intensity with notes of green grass, olive leaf, apple and banana and a moderately bitter and slightly spicy finish. Since 1998 Venta del Barón has received more than 80 awards in 8 different countries. This luminous oil has intense fruity aromas of green herbs, peppermint, almond, banana and apple. Its flavor is reminiscent of vegetables such as tomatoes and artichoke, and has a slightly bitter and spicy finish. The family business began in 1942 with Mateo Muela Velasco who established a company that bought and sold olive oils. But after a few years of experience in the trade, he came to believe that the future of olive oil lay in upholding traditional production methods rather than in mass production. He soon began purchasing olives from the local farmers and producing his own extra virgin olive oil at a mill that used the traditional system of cold pressing. Creating significant quantities of oil was never the goal. Instead he cared for the quality of the oil, trusting this would lead to success in the olive oil sector. By 1958 Muela Velasco had developed a new extraction system and integrated a second mill into the production pipeline that used this invention. 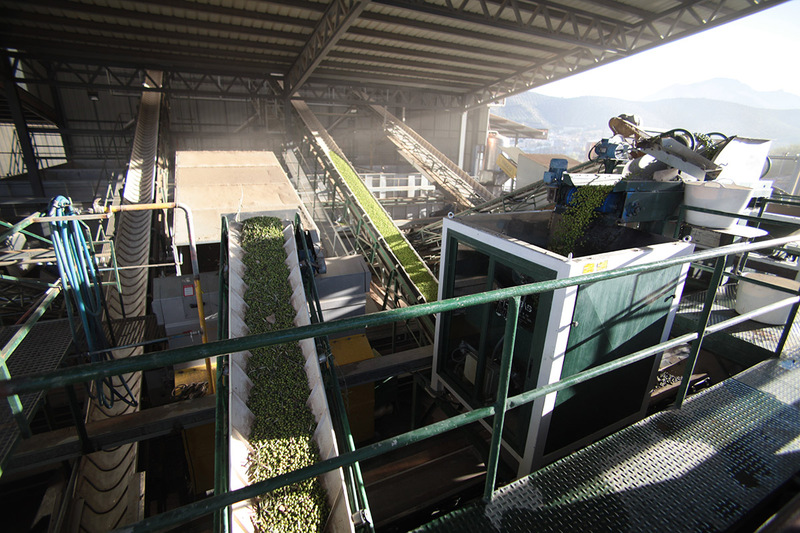 The mill produced a unique olive oil that over the next decade would set a benchmark for quality both in the Spanish and international markets. By the time of Mateo Muela Velasco's death in 1975 the company ran four mills that accounted for over 2,500 jobs for the region's farmers. When the second generation took over the business, the company was re-established under the name 'Hermanos Muela,' and in 1984 began bottling their oils using the 'Mueloliva' brand name. Like their father before them, this next generation of the Muela family continued to make advances in their production facilities. 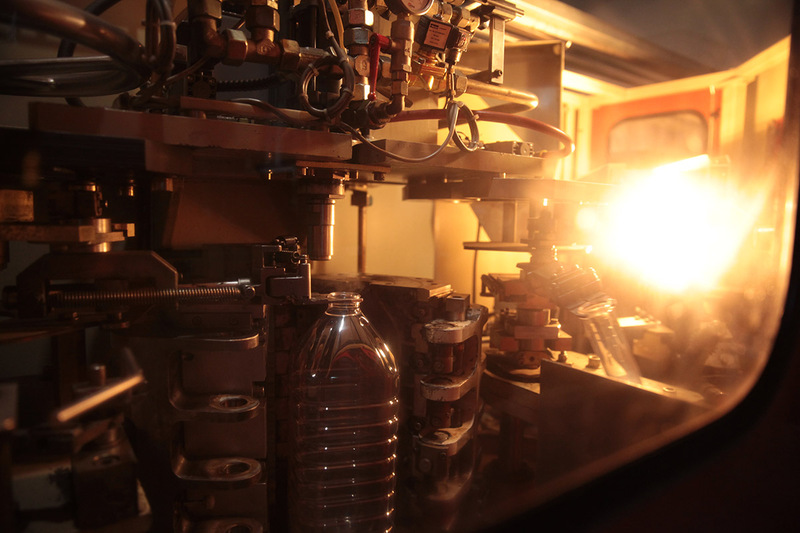 They continued to upgrade their milling equipment, and in 1991 became one of the first producers to integrate product packaging into their pipeline. The hallmarks of our products reflect the 5 basic values of the company: security, simplicity, a fair price, service and sustainability. By 1998 a third generation joined the management of "Hermanos Muela", and again the family pursued ways to improve their business. With efforts led by Rafael Muela, current family patriarch, their objectives focused on adding value to the products through design and innovation. Three years after joining the company team, they revolutionized their brand through the creation of a vibrant varietal blend packed inside a stunning visual product. 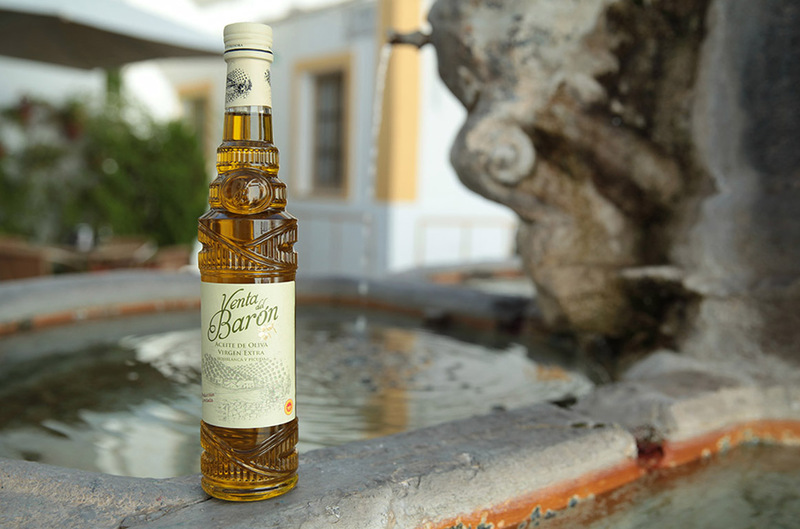 With fond memories of the company's past, they decided to model the bottle design for their newest olive oil creation after a bottle of local anise liquor often enjoyed by the founder Mateo Muela Velasco, and thus Venta del Barón was born. The bottle design has since been trademarked with clear glass to showcase the golden glow of the oil that makes this unique brand stand out. For the Muela family, their olive groves are more than a means to an end; they are part of the family, part of their lives together. Growing up surrounded by the Sierras Subbéticas and walking through groves harvested by their grandparents and great-grandparents, they know that this land and these trees have witnessed lifetimes. As family learns from family, passing down traditions of how to cultivate the groves, they continue to take those lessons and apply them to create the best products. Over the last decade their facilities have seen continuous upgrades with the goal of improving both the quality and environmental sustainability of their production. These modern facilities, together with the accumulated experience of generations, have produced the multi-award winning Venta del Barón and other fine Mueloliva extra virgin olive oils known around the world. Located in the heart of Andalusia, Spain, in the rugged, mountainous landscape of Sierra de Priego in the Sierras Subbéticas, the lands harvested by Mueloliva enjoy a specific micro-climate marked by significant rains and temperature fluctuations. These fertile lands have produced olive trees native to the region for centuries. Many of the oldest trees were planted during the Roman era, though horticulturists working the land estimate some trees of the Picuda variety to have grown here for 1000 years. Their groves now contain over 350,000 trees, split between Picuda, Picual, and the newest variety, Hojiblanca. When harvest season begins, gangs of olive pickers move across the land collecting the first green olives by hand using the traditional hand-combs. The olives fall on sheets beneath the trees, and then workers separate the olives from any branches and leaves before loading them loosely in aerated boxes designed to distribute the weight of the fruit so the olives can avoid damage. This mountain, this Priego, these old trees here, they give you some quality which other oils in another part of Spain or Italy or the world do not give you; this flavor comes from this land here. 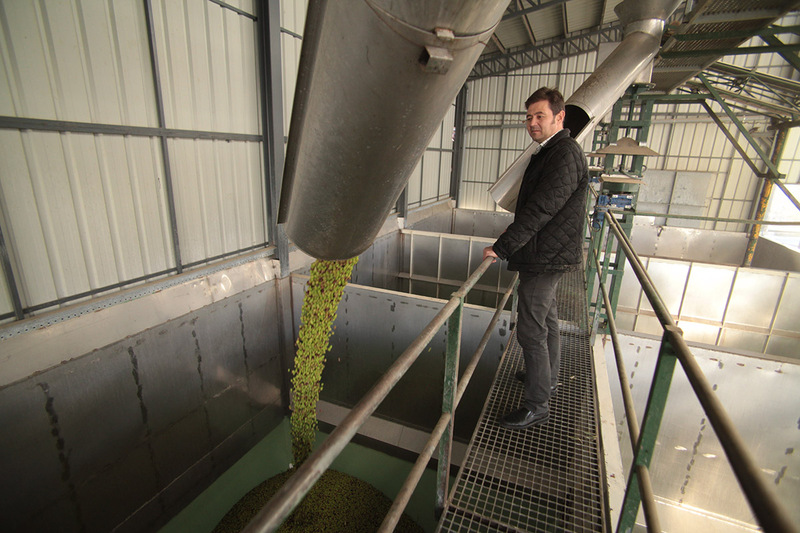 For the creation of the signature brand, Venta del Barón, Mueloliva uses only early harvested green olives - Picuda and Hojiblanca - with less than 10 hours between picking and pressing. 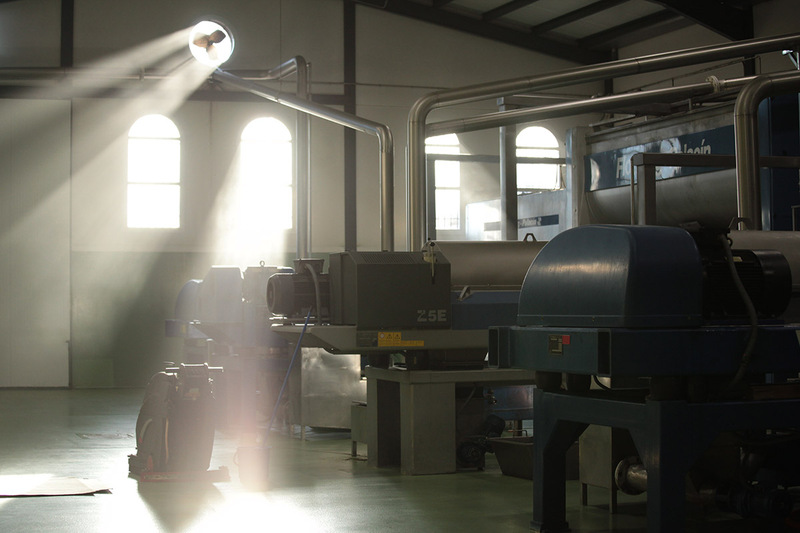 Their exclusive system extracts the olive oil using a process that does not require heat or water, although the oil from this extraction process represents only 10% of what more standard processes produce. As their millers describe it, "the result is a dense and luminous oil... the first juice of the virgin fruit, the best of all the oils." The monocultivar oil, Mueloliva Picuda, serves as a nod to the region's past. Native to Priego de Córdoba, "Picudo olives bear the identity of the land where they are grown." The trees have dense foliage and their olives, though picked when they begin to ripen, often resist being picked. This can make harvest a challenge, but the fruit is large with a generous yield of oil, making it "a worthy representative of a thousand-year-old tradition." While the trees provide the roots of the operation, the rest of the magic happens at the Almazara de Muela Olive Mill in Priego de Córdoba. In order to preserve the delicate aromas and powerful nutrients of their oils, Mueloliva takes great care to prevent the products from suffering oxidative damage. According to the Spanish Association for Olive Municipalities, their mill applies scrupulous attention to the “handling of the raw material, the separation of olive varieties, and careful classification of oils in the warehouse.” In addition to using the latest extraction technologies, Mueloliva houses their bottling plant in the same facilities, thus avoiding any opportunities to alter the high concentration of tocopherols, phytosterols, and polyphenols of their quality extra virgin olive oils. From one tank I can tell you from which land and which area it was produced, so we have total control of the traceability. The olive pickers call this “peinar” (combing)... In our family we call it wisdom and respect for a tradition that stretches back almost 3,000 years. The regional DOP makes efforts to promote tourism in the area, encouraging those coming to the region to "know the collection process. Visit an oil mill to learn about the manufacturing process of this 'liquid gold.' Make a guided tasting that will awaken your senses. Visit the olive groves with centuries-old, and even millennial, specimens."